Is there anything graphene cannot improve? Swedish researchers recently used the wonder material to enable electronics that work at terahertz speeds. In an article in Chalmers Microtechnology and Nanoscience Department News, they combined graphene transistors and plastic substrates to create a malleable electronic detector that detects terahertz radiation. The graphene-based detector is the first of its kind to combine flexibility and terahertz-speed electronics. With further development, it can allow wireless sensor systems, wearable electronics, and other flexible electronic systems to run at blistering speeds. The term “terahertz radiation” involves electromagnetic waves in the range of frequencies from 100 gigahertz to 10 terahertz. These frequencies can be found in fields as different and distant as medical technology and radio astronomy. While they already play many important roles, terahertz frequencies are taking on greater importance in recent times. Wireless communications are always in need of more bandwidth to feed demands for data. It is also in need of greater security measures given the increasing amounts of cyber crimes these days. Luckily for researchers, polymers have been getting better over the years. These improved materials make it possible to create flexible electronics. They also allowed the manufacture of high-frequency electronics on malleable substrates. A research team from the Chalmers University of Technology (Chalmers) recently published the results of their study involving graphene-based flexible electronics. They reported creating the world’s very first flexible terahertz detector. As befitting the pioneering example of its kind, the new detector demonstrated a number of distinct capabilities. It can pick up low-end terahertz frequencies in the range of 330 to 500 gigahertz. Furthermore, the sensor is translucent and highly flexible, qualities that make it very useful for wearable electronics of all kinds. The Chalmers team proposed that their new device can serve as a camera capable of scanning terahertz radiation, a sensor that can recognize various substances, and a cancer detection system in healthcare systems. Additional suggested uses for the terahertz detector include vehicle-mounted imaging sensors and wireless communication devices. Xinxin Yang, Andrei Vorobiev, Andrey Generalov, Michael A. Andersson, and Jan Stake conducted the study on the flexible graphene terahertz sensor. They published their findings in the journal Applied Physics Letters. Their work was supposed by several European research institutes. Much of this potential is due to the electronic properties and mechanical flexibility of graphene. The material is an excellent electrical conductor, making it perfect for high-speed electronics that leverage the higher frequencies of the electromagnetic spectrum to enable bigger bandwidth. The addition of graphene electronics to fabric, plastic, and other substrate materials will allow the creation of all sorts of smart devices that are faster, lighter, and smarter than their predecessors. The work of the Chalmers team is a big step towards the direction of terahertz technology that is both cheap and capable of high performance. 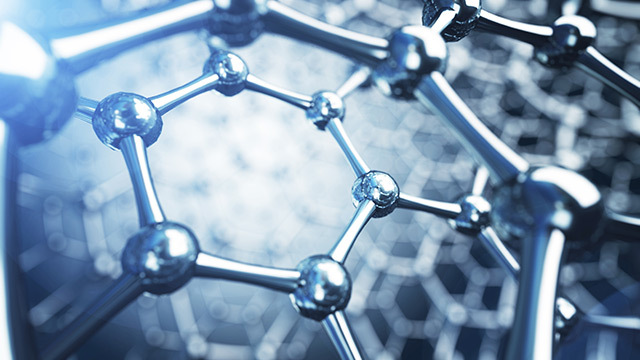 The graphene detector was one of the stars at the recent European Union Tallinn Digital Summit, which focused on recent technological advancements involving materials such as graphene. Several heads of state and government attended the summit to learn about the digital future of Europe, especially with regards to the major role played by graphene. Visit FutureScienceNews.com to keep track of the newest electronics derived from graphene technology.